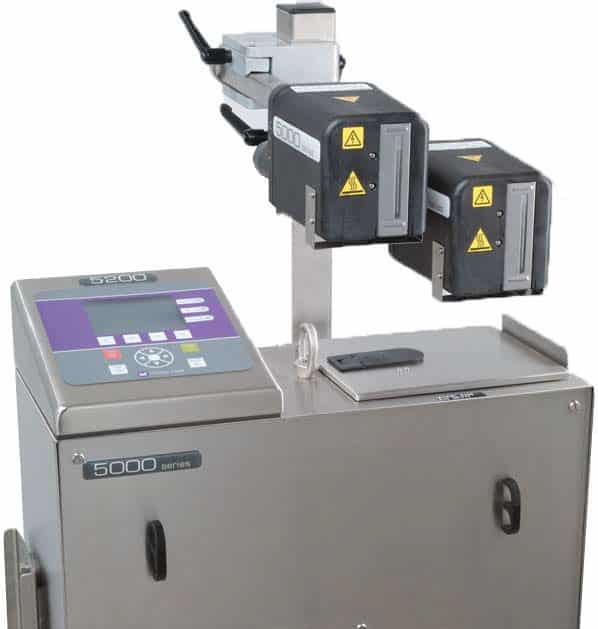 5400 FG food grade printer and inks for high-resolution, high-speed edible coding. The 5400 FG is specially engineered to produce high resolution, high quality images at high speed using patented, edible wax-based Markem-Imaje Touch Dry® Hot Melt inks. These inks are formulated to dry instantly, ensuring no bleed-through when applied to food surfaces, or ink transfer when applied to packaging that touches food. Print high quality text, barcodes and graphics. Up to 4 edible images at the same time on a variety of substrates. Global customisation – Multi-language capabilities allow you to vary the text on your products for different regions. Lower cost enhanced traceability – Print 1D and 2D bar codes directly on edible products, no labels or extra packaging.